On January 15, 2014, FERC issued an Order Approving Stipulation and Consent Agreement (“Settlement”) between the Office of Enforcement (“Enforcement”), Erie Boulevard Hydropower, L.P. (“Erie”), and Brookfield Power US Assets Management, LLC (“BPAM”) related to Erie’s operation of the Varick Development of the Oswego River Project in light of the death of two fishermen nearby the project in 2010. Enforcement concluded that Erie violated its license and Part 12 of FERC’s regulations, which governs hydropower public safety. The settlement contains the following provisions: (1) Erie agreed to pay a civil penalty of $4,000,000; (2) Erie and BPAM agreed to budget $1.7 million for public safety enhancements at hydroelectric projects; (3) BPAM agreed to purchase and implement a computerized compliance program costing over $500,000; and (4) BPAM agreed to retain a Board of Consultants to review the staffing levels at centralized remote operations at BPAM’s National System Control Center (“NSCC”) for projects owned by Erie and BPAM. FERC had previously issued a Staff Notice of Alleged Violation concerning the circumstances that resulted in the death of the two fishermen (see July 15, 2013 edition of the WER). Following the Notice of Alleged Violation and an investigation into the matter, Enforcement determined that: (1) Erie failed to timely repair a safety camera; (2) Erie failed to report that the safety camera was inoperable; (3) Erie failed to timely replace or repair staggered-height flashboards used to visually alert fishermen of increases in flow; (4) Erie failed to adequately estimate, plan, and coordinate for future flow conditions; (5) Erie failed to file information on the design and history of recent failures of the staggered-height flashboards; (6) the NSCC was inadequately staffed because the NSCC operator overseeing the Varick Development oversaw 42 developments; (7) the NSCC operator failed to timely sound the fisherman alert system (“FAS”) siren; (8) the NSCC operator failed to use his on-site monitor to view fishermen activity; and (9) Erie failed to provide the NSCC operator sufficient training in the FAS procedures or public safety. 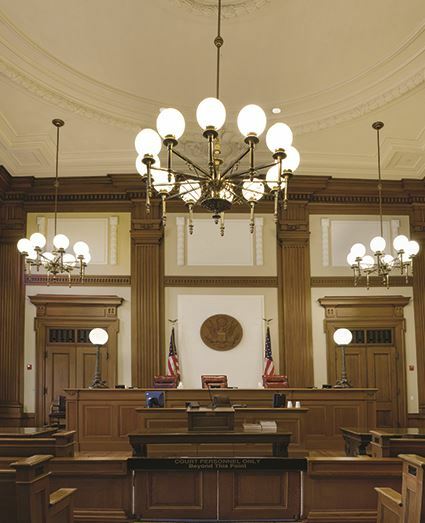 While Erie admitted to the facts recited in the recent Settlement, Erie neither admitted nor denied Enforcement’s conclusions that the conduct violated safety provisions. To determine the appropriate sanctions, Enforcement considered a number of compliance and mitigation efforts, including several public safety initiatives to which Erie has contributed or committed a total of $1.2 million.